« One Month Left To Enter CFI’s Campaign For Free Expression Video Contest! Ex-Jehovah’s Witnesses who really dug into the Society’s old Creation Book (like myself) will appreciate Blatant misquotes in the Origin of Life booklet. The rest of the web site looks like it might be interesting for ex-Witnesses, too … if they speak it’s language, that is. But this article is in English. Thanks to Copernic (as he’s known on JWD) for the article. He is looking for proofreaders to make sure his English is good. Maybe we can give him a hand by posting comments here. Note that those curious about the honesty behind creationist literature can often contact any scientists, or other sources, being quoted by doing a simple internet search. I did this with the Creation Book to see if the critics were telling the truth when they said the quotes were misleading. They were right, of course. What you typically find is that the source’s words were taken out of context, or the source wasn’t qualified as an authority on the subject. This one may make you laugh. But this one is so bad it'll make you cry. Or at least feel ashamed that you ever offered it to a householder. 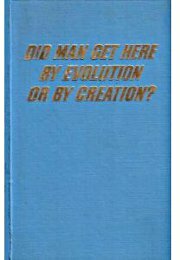 Tagged Creation Book, creationism, evolution, Ex-Witnesses, Jehovah's Witnesses, Life-How Did It Get Here? 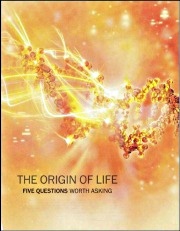 By Evolution or by Creation?, Origin of Life Booklet, religion. Bookmark the permalink. Thanks for the link dude ! TJ, there are other references here, though they deal with other creationist claims and not just those from the Creation Book. That’s another source worth checking out. The dishonestly of these publications is incredible. The problems with the old Creation Book played a role in my exit from the WTS, as it has for a number of other XJWs. I finally reached a point where I decided it was time to either go back to the KH or never go back. So I started researching the literature to see if the Society really was as “dishonest” (or at least terribly misinformed) as the critics said. 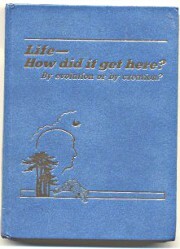 The Creation Book was one of my first research projects. It would have been better IMO if they’d just put out a brochure like this one, only without the quotes taken out of context or the bad science of the Creation Book. Why not just say, “The Bible says evolution can’t happen, and that’s good enough for us. We don’t need any further proof.” At least that would be perfectly honest, and loads of people would let them off the hook with that. Still, I guess the Creation Book was a big seller for them — even Richard Dawkins was aware of it and gave a brief overview of its flaws. Maybe that’s why they kept publishing it for a couple decades despite its obvious problems? What can ya do. Oh man, this is what made me leave…the intellectual dishonesty coupled with the distaste (and total misunderstanding) of science. Really, if scientists who believe in evolution are a bunch of dummies and liars, why does the WT publish whole books containing quotes by them, trying to prove IT’S point on the matter? Doesn’t discrediting scientists defeat that aim? It’s paradoxical.